TORONTO, Oct. 11, 2013 – The Association of Legal Aid Plans of Canada applauds a new report by the Action Committee on Access to Justice in Civil and Family Matters. “Access to justice is at a critical stage in Canada,” said Bob Ward, Chair of the Association of Legal Aid Plans. “The Action Committee’s report provides a much-needed path for reform of the Canadian justice system” by highlighting the need for increased civil and family legal aid. The report, entitled Access to Civil and Family Justice: A Roadmap for Change, notes that the poor and vulnerable are particularly prone to legal problems, which can multiply and lead to other legal, social and health-related problems. Left unresolved, these problems have social and economic costs. “Despite serious challenges to the justice system, this report gives us reasons to be optimistic that something can be accomplished through a coordinated and collaborative voice for change,” said Ward. The report provides a multi-sector national approach that promotes concrete goals in the areas of innovation, institutions and structures, and research and funding. Goals include a justice system focused on the everyday legal problems Canadians face and making essential legal services available to everyone. The report also calls for user-friendly court processes, a “front-end” early resolution services sector, and appropriate services for self-represented litigants. While recognizing that there are specific local conditions for which there must be locally tailored approaches, the Action Committee would like to see the creation of a permanent national body that would guide meaningful local and national initiatives. The Action Committee is composed of leaders in the civil and family justice community, and a public representative for each of the different parts of the justice system. The Association of Legal Aid Plans is a voice for Canada’s Legal Aid Plans and its members provide expertise on legal aid and access to justice issues. The association conducts, supports and facilitates research concerning access to justice issues. It also seeks to improve public awareness of access to justice issues. Expanded duty counsel is a delivery approach that has important implications for cost control and the sustainability of legal aid, and for supporting efficiencies in the courts. EDC is, therefore, a potentially important area for legal aid policy and service delivery that links legal aid policy with broader justice system issues. Expanded duty counsel (EDC) was first implemented in Manitoba in the mid-1990’s. [i] The original idea embodied in expanded duty counsel was to accomplish substantial progress on cases early in the court process. This could include substantial progress such as a bail hearing or achieving a resolution such as a guilty plea and sentencing, a stay or withdrawal, or diversion. Since the Manitoba experiment the expanded duty counsel idea has been adopted in varying degrees in most jurisdictions that have distinct duty counsel components of the legal aid delivery system. In a few jurisdictions EDC has been implemented as a specific project for both family and criminal matters. [ii] In these situations EDC has been implemented in response to financial constraints that have limited the capacity of the legal aid system to provide traditional full service. Thus EDC is often viewed as a patch on a “crumbling system” or as a second best alternative to full service. Currently expanded duty counsel has been implemented in the Halifax Regional Municipality and in the Cape Breton Regional Municipality. Seven experienced staff lawyers provide expanded duty counsel services in Halifax and Sydney for in-custody and non-custody accused in both adult and youth courts. Currently, EDC is being expanded to courts covering the small town and rural areas of the province, providing this service in addition to full service representation. Four and one half Court Support Workers provide assistance to the duty counsel lawyers and are an integral part of the expanded duty counsel team. A preliminary analysis of the quantitative data available from the NSLA management information system indicates that the expanded duty counsel system in Nova Scotia is providing significant early stage service and early resolutions. 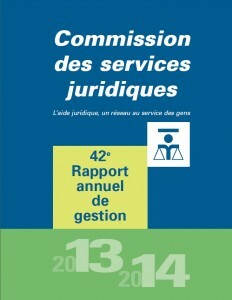 20% of all charges to in-custody accused were resolved by sentence at the duty counsel stage; 6.8% were resolved by a withdrawal or dismissal; 0.08% received diversion, 0.09% were referral to mental health court; applications accounted for 1.3%; and 71% of charges were not resolved. Among non-custody clients 13.5% all matters were resolved by sentence, 5.3% were resolved by diversion; 9.8% were resolved by stay or withdrawal; 0.7% were referred to the mental health court; applications were filed in 16.3%; and 54.5% of charges were not resolved. .
For the in-custody accused whose charges were resolved by sentence, 49.5% were resolved at the first appearance, 31% at the second appearance, 11% at the third and 8% were resolved at the fourth or higher appearance. For non-custody accused 78% of charges resolved by sentence at the first appearance, 15% at the second, 7% at the third and less than 1% were resolved by sentence at the fourth or higher appearance. EDC is provided without applying the financial eligibility criteria that are required of applicants for full service. About 51% of out-of-custody accused and 27% of in-custody accused served by expanded duty counsel would likely not qualify for service under the financial eligibility guidelines. 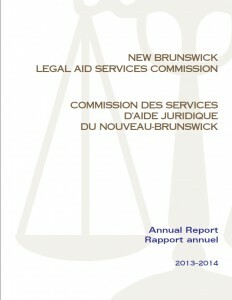 It seems clear that EDC significantly increases access to justice for people in the province. Interviews with defense lawyers provided some insights into how the EDC system works. Almost all duty counsel work is carried out by experienced staff lawyers. Their professional style can be characterized by two main features: 1) a commitment to client service including decreasing delay and 2) a holistic defense orientation reflected in a predisposition to employ external services to address the housing, substance abuse, and other social services issues that are related to the clients’ criminal offending. 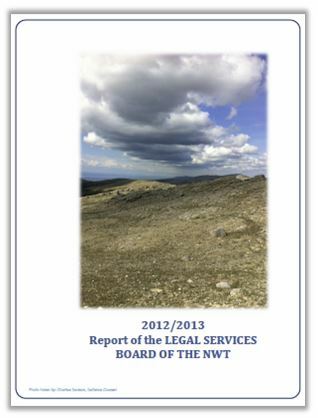 NSLA employs court support workers who work closely with the legal aid lawyers. The court support workers are key partners with defense counsel in the NSLA approach to EDC. They assemble background case and client information on clients often identifying related non-legal needs, arrange sureties and make arrangements for housing and addictions treatment in connection with bail and sentencing conditions. The court support workers attend court every day to assist the lawyers and to deal with unforeseen problems. They will sometimes assist accused to navigate the court system, for example when people are late for court and require assistance connecting with the duty counsel lawyer. Another important function of the court support workers is to facilitate applications and the quick transfer from duty counsel to full service. In that regard, the Senior Prosecutor interviewed for this preliminary assessment emphasized that one of the important benefits of EDC is the reduction in the number of unrepresented accused. She was clear that this is a significant benefit for the prosecution. The Chief Judge also indicated that this reduces the difficulty for judges managing the court process. The expanded duty counsel approach in Nova Scotia is an integral part of the entire delivery model. It is not just a facilitating function to move the accused to the next appearance in the court process and to the legal aid application stage. It is important first step in the delivery model that accomplishes specific service delivery objectives for legal aid, has salutary impacts on other parts of the service delivery model, and has significant justice efficiency benefits for the courts. EDC is a model that achieves early resolutions and extends legal aid service to people not eligible for full service. 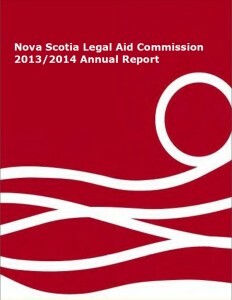 Using senior criminal lawyers is a key factor in the success of EDC in Nova Scotia. NSLA is developing data collection and statistical measures that will provide a solid evaluation of outcomes.